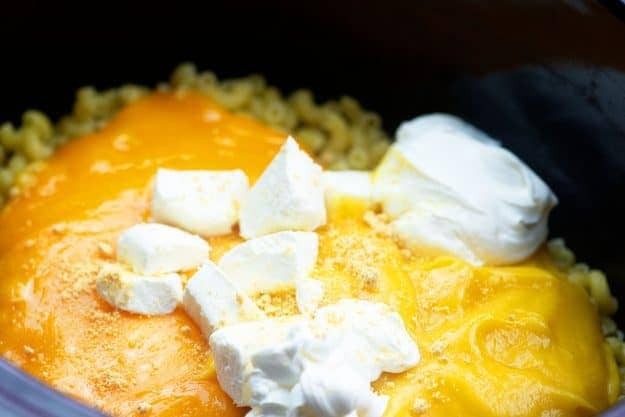 The creamiest crockpot macaroni and cheese! 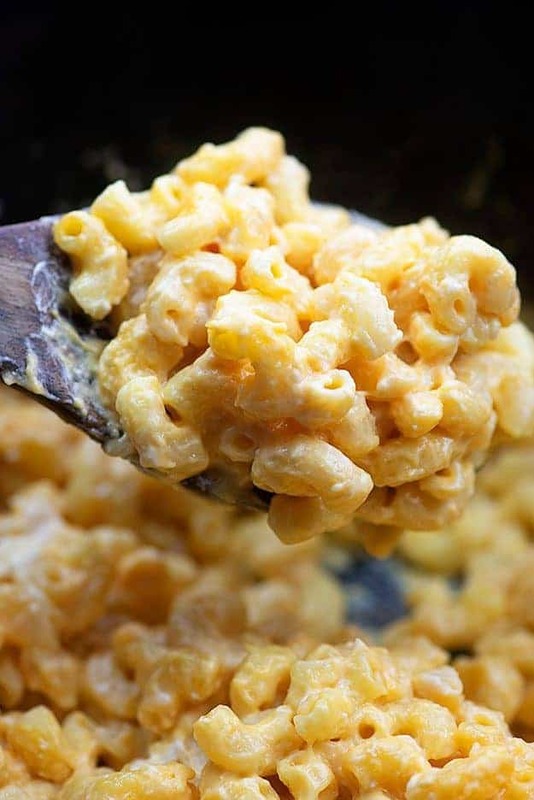 This recipe is my all time favorite way to make the BEST mac and cheese and it’s super easy too! I have to tell you guys – I’m a little concerned for my son. You see, he doesn’t like macaroni and cheese. In fact, he never has. Not even as a picky toddler. He thinks it’s *boring* and I’m not sure what’s wrong with him. The rest of my family? 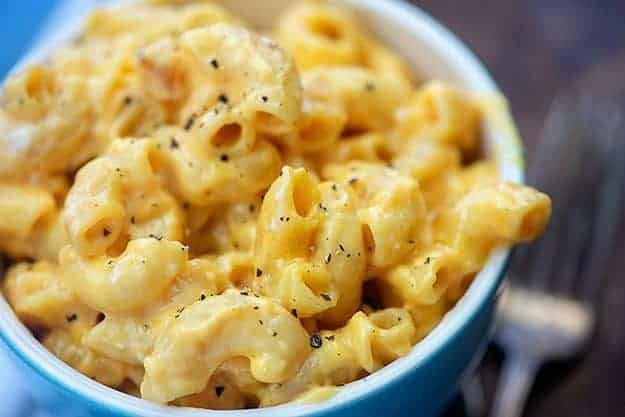 We love extra creamy and cheesy crockpot mac and cheese. 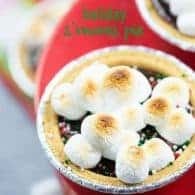 This recipe is THE ONE and you guys are going to flip for it! It’s pretty similar to the Paula Deen crockpot mac and cheese, but I skip the eggs in favor of cream cheese. Sorry – eggs don’t belong in mac and cheese in my house. I’ve experimented with slow cooker mac and cheese quite a bit and I always want to start with uncooked noodles because it’s easier, but I’m here to tell you that you just get a better result by boiling your noodles first. That extra step is worth it, promise. That said, you want to boil your noodles for only 6 minutes. We don’t want mushy noodles! Add the cooked macaroni to a slow cooker and then pop some cheddar and butter in a glass bowl and microwave it until melted. It seems a bit strange to melt cheese and butter like this in the microwave, but it creates a really creamy mac and cheese and it’s so easy! 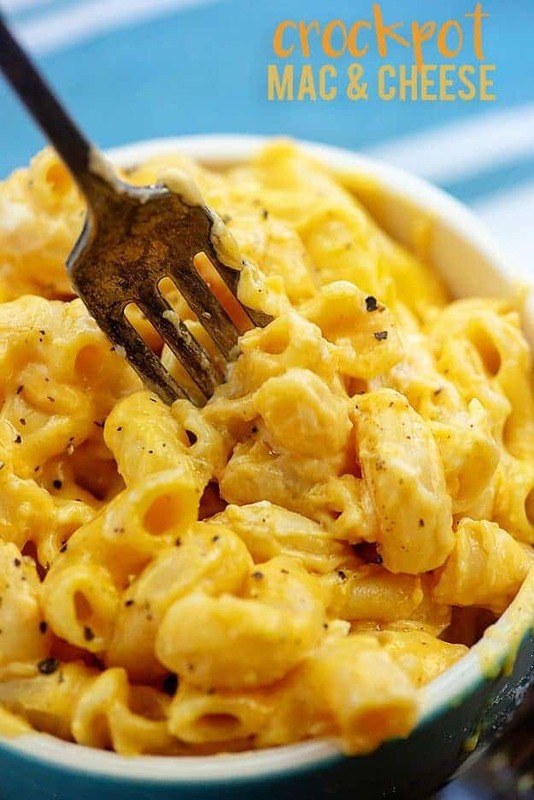 Spoon that gooey mess over the macaroni, top it off with some chunks of cream cheese, a little sour cream, some condensed cheese soup, and your seasonings. Stir everything up and pop the lid on. This cooks on low in 3 hours. Just give it a stir before serving. 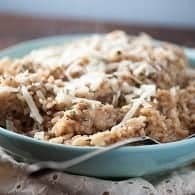 I love this recipe for any weeknight dinner since it gets started before the dinner rush, but it’s especially perfect for holidays! Saves you oven and stove top space and the prep work is all done before guests arrive. 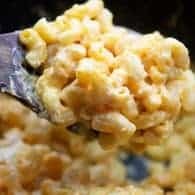 I’m not joking when I say this is the BEST macaroni and cheese recipe! It’s my all time favorite. So creamy, cheesy, and just really good comfort food. Food Processor: I prefer to grate my own cheese for most recipes and the Breville Sous Chef is my FAVORITE way to do that. It’s a total workhorse and I use it every day. It makes shredding, chopping, and slicing a total breeze. Snap and Strain: This little gadget clips onto any pot to make draining your pasta super quick and easy. Stuffed Chicken Breast: Simple, filling, and there’s spinach involved. Turkey Meatballs: Toss the meatballs right over your mac and cheese – totally kid friendly! Slow Cooker Ribs: My favorite way to make ribs! Crockpot Whole Chicken: So juicy and easy! Pork Tenderloin: There’s garlic butter involved. Brookies: When you can’t decide between brownies and cookies, this is the way to go. Buttermilk Pie: A Southern classic! 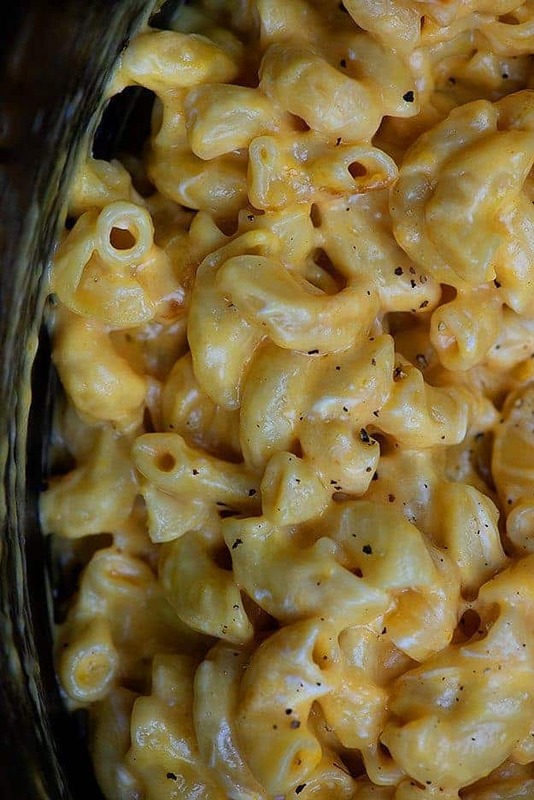 The creamiest and cheesiest mac and cheese and it's so simple! Bring a large pot of water to a boil and cook the macaroni for 6 minutes. Drain and add to a 6 quart slow cooker. 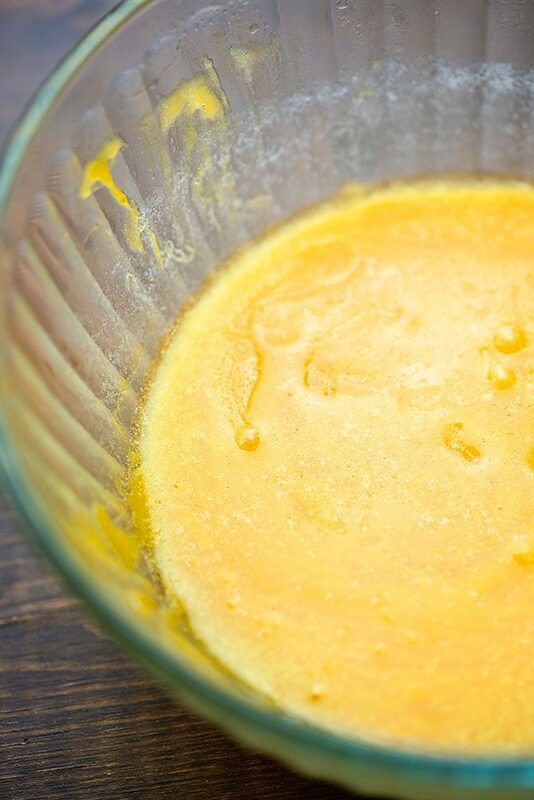 Add the grated cheddar and butter to a microwave safe bowl and heat in 30 second increments, stirring each time, until melted. Pour the cheese mixture over the macaroni. Add the cream cheese, cheddar soup, sour cream, milk, salt, pepper, and mustard powder to the slow cooker and stir well to coat the noodles. You'll find the condensed cheese soup near the rest of the condensed soups in the grocery store. Can long macaroni be used. My family does not like it when elbow macaroni is used. As long as you’re using something thicker, like penne or ziti, it should be fine. Spaghetti will take much less time to cook, though. 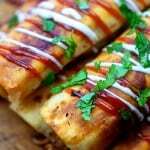 This looks really yummy and I see lots of places I can make it more diet friendly (need to lose a bunch). 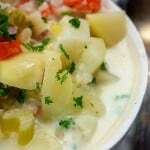 Fat free cheeses and sour cream, etc. Going to give it a shot this week end. A good bowl of mac and cheese is one of those ultimate comfort foods that I have the hardest time saying no to! 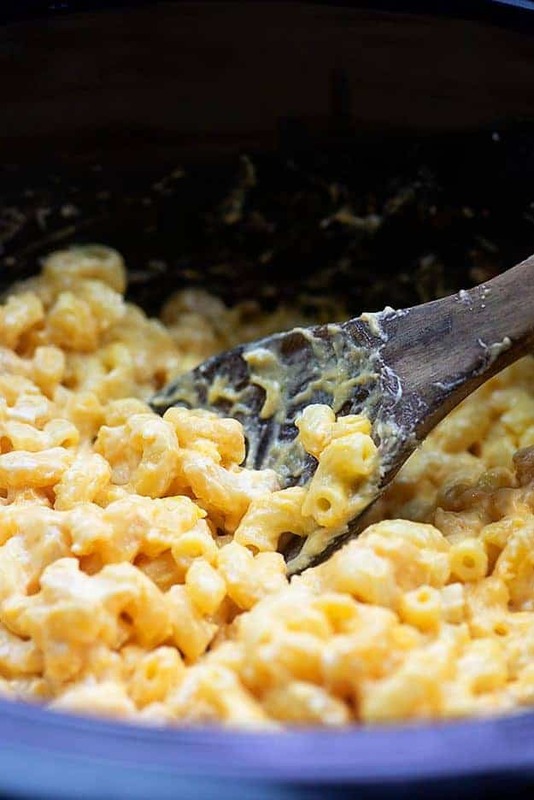 I’m definitely giving this recipe a try next time I make cheddar mac and cheese! Made this yesterday, it was awesome. My boys are mac n cheese connoisseurs and they liked it better than El Pollo Loco Mac N Cheese! I would like it a bit “soupier” do you think adding another can of the cheese soup would work or is there a better option? So glad the boys loved it! 🙂 I haven’t tried making it soupier as I like it thick, but I think an extra can of cheese soup and maybe a bit more milk would be a good starting point! The extra soup and milk made it perfect! Boys loved it more. I made this years ago . Its a Paula Deen recipe. Give her credit . If you read the blog post, you would have seen that I did give her credit. Wow this looks so incredibly cheesy – I’ll have to give it a try! 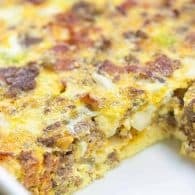 This is probably a stupid question, but if I double this recipe would the crockpot cooking time double also?